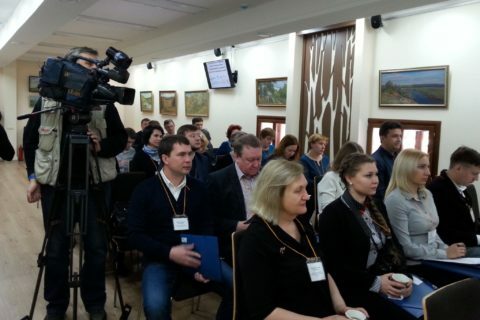 Workshop on Paludiculture at Drained Peatlands after Restoration of Water Regime was held on the 28th of March 2018 at the Ugra National Park’s visitor centre in the city of Kaluga. 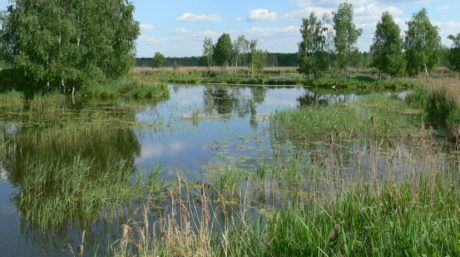 The project “Restoring Peatlands in Russia – for fire prevention and climate change mitigation” is aimed at providing technical support to Russia’s regions in applying modern German ecosystem restoration technologies on cutover peatlands in order to optimize ecosystem services and reduce fire hazard. 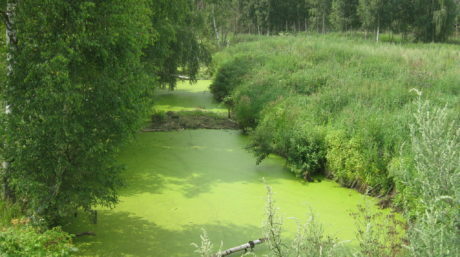 In 2016, as part of the agreement between the Federal and the Kaluga Regional Ministries of Natural Resources and Environment, the project activities were started in the Kaluga Province. 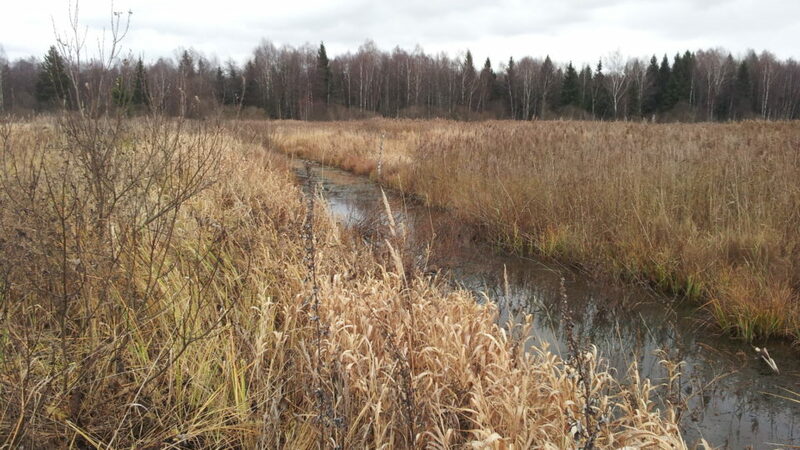 Two peatland massifs were surveyed in cooperation with the Ugra National Park. The Project activities on one of these, the Drakovskoye Peatland in the Dzerzhinsk District, are under development. 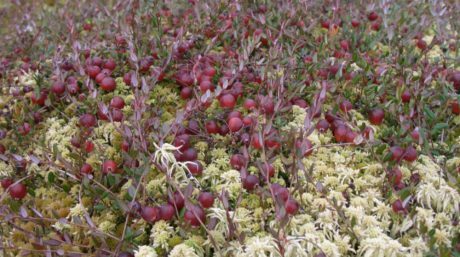 The planned activities include the establishment of paludiculture pilot sites on rewetted peatlands as business projects on privately owned lands. The goal of the workshop is to familiarize experts involved in project activities, stakeholders, and potential investors with the concept and methods of paludiculture on wet peaty soils, and with the prospects of introducing paludiculture practices in Russia, as well as to outline a plan for further work and cooperation. 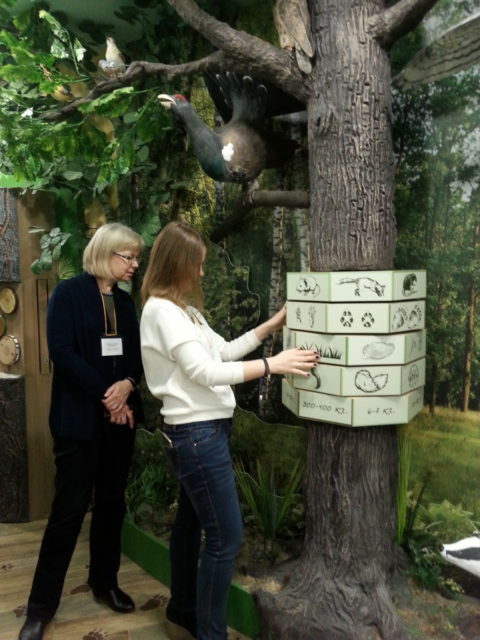 The workshop was organized and facilitated by the Kaluga Province Ministry of Natural Resources and Environment, the Ugra National Park (Kaluga Province), Wetlands International Russia (Moscow), Michael Succow Foundation (Germany), the RAS Institute of Forest Science (Moscow Province), and the Department of Ecology, K.A. Timiryazev Agricultural Academy (Moscow). The workshop participants represented the Kaluga Province Ministry of Agriculture, Dzerzhinsky District Administration (Kaluga Province), K.E.Tsyolkovsky Kaluga State University, Kaluga Affiliation of the Moscow Timiryazev Agricultural Academy, the Embassy of Federal Republic of Germany in Russia, other European Russia’s provinces involved in the project (Vladimir, Kaliningrad, Ryazan, and Tver), the Tver Technical University and East European Institute of Peat (Tver), the Meshchersky Scientific & Technical Center (Ryazan), All-Russian Research Institute of Organic Fertilizers and Peat (Vladimir), the Volga-Akhtuba Nature Park (Volgograd), potential investors, and other stakeholders. 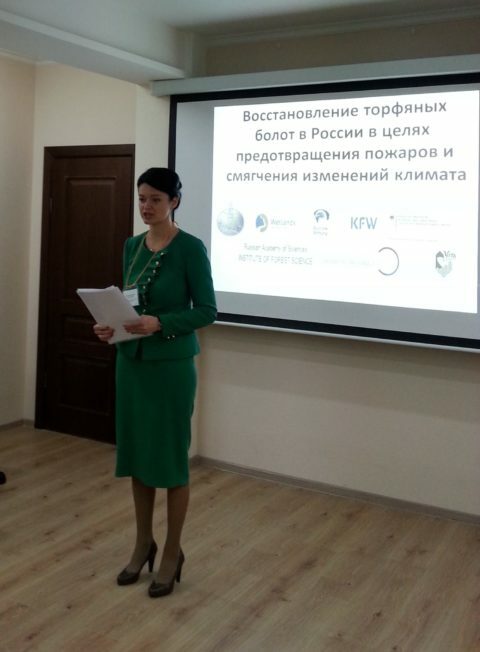 The workshop was opened by Ms Varvara Antokhina, Minister of Natural Resources and Environment of the Kaluga Province who emphasized the positive attitude to the restoration of degraded peatlands in the Province. Ms. Ellen von Zitzewitz, Adviser on Energy, Environment and Climate of the Embassy of Federal Republic of Germany in Russia, informed the audience of the prospects of German-Russian co-operation in the sphere of the environment, in particular of the experience gained in the implementation of green projects by German investors. Dr. Uli Graebener, Director of Michael Succow Foundation made a presentation on the concept of paludiculture, shared German experience collected in the field, and gave advice on the plant species that are most suitable for cultivation in the Drakovskoye locality. In the afternoon, an interactive session was held to discuss various issues relating to the practical implementation of the Drakovskoye pilot project, in particular the concept and design for restoring hydrological regime in the area, the particulars of carrying out surveys and assessments of natural and social conditions for paludiculture introduction into the peatland restoration project, land use regimes and legal issues, development of a business plan, implementation of planned activities and subsequent monitoring of ecological, social and economic parameters, and measures to ensure the project’s sustainability. It is expected that the implementation of paludiculture pilot projects at sites with restored water regimes will make dissemination of this approach possible in the Kaluga Province and other regions of Russia.